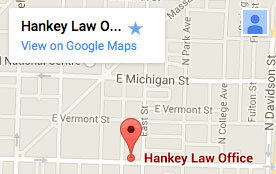 Hankey Law Office > FAQs > What is an advanced directive? An advanced directive is a document that dictates the treatment you wish to receive if you cannot speak for yourself after sustaining a serious injury. For patients in a coma or at risk of entering a coma, completing an advanced directive can avoid the possibility of placing your loved one or caregiver in a difficult position. There are two types of advanced directives. A living will, which tells your family and caregiver the treatment you wish to receive, and a medical power of attorney form, which appoints another person to make all medical decisions if you are incapacitated.